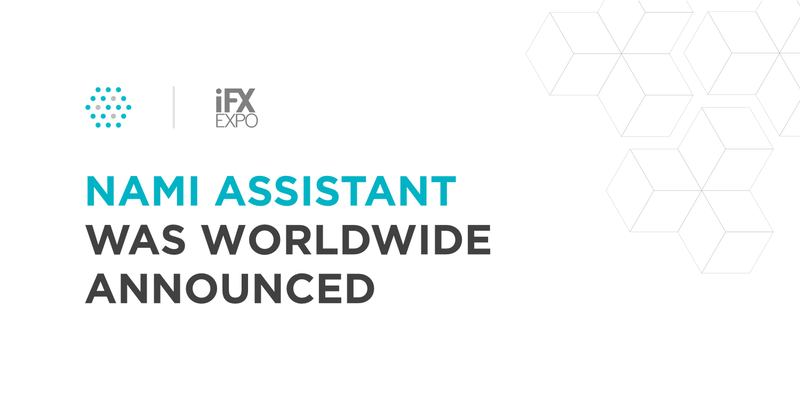 Raffles Place, Singapore – At the iFX Expo Asia on January 23rd, 2018 in Hong Kong, Nami Assistant technology was widely introduced. Nami Assistant is a precursor of Nami Corporation, with the award from winning Facebook Hackathon competition and received sponsorship from major banks, Nami Assistant has grown over Vietnamese borders and come to international friends. So far, the system has recorded approximately 30,000 users from around the world. The iFX EXPO Asia is an annually international financial expo for companies and is the first of its kind in Asia. Trade.io, ICM Capital, SwissQuote Bank, RESERVED, ZOTAPAY, ImpactTech, etc. are big financial players that sponsored and attended the event. It is characterized by the high quality of the delegates and exhibitors. Admission to the exhibition is free of charge in order to reach the widest possible audience. The fair is an ideal place to meet with financial advisors and brokers in the greater Asia but also with bankers and service providers from around the world to exchange ideas and to establish business contacts. Visitors can receive information on hot topics such as technology, compliance, marketing and sales from industry experts during workshops and panel discussions. During this year’s Expo in Hong Kong, Cryptos, ICOs & Blockchain Technology were at the forefront of most conversations. The iFX EXPO was held in Hong Kong Convention and Exhibition Center (HKCEC) on the last days of January 2018. With the exhibition area of 66,000 sqm and the direct location at Victoria Harbour, the exhibition offered a unique setting and attracted many visitors. With this success, iFX EXPO is planned to take place in Hong Kong again next year in January. In today’s digital age, Virtual Assistant has become popular. They are everywhere, but most of us who care and regularly update new technologies, find it very difficult to understand the innovative technology behind them and their benefits. “Virtual Assistant” can be understood simply as a software, which is built on the basis of Artificial Intelligence (AI). This technology makes it easier for users by tracking the conventional habits that users often do on that device, including understanding users’ voice and progressing these information to assist users’ activities. With Nami Assistant, Traders will receive continuous support which minimizes the time spent on low-value-added jobs and they can focus on making smart investment decisions. This virtual assistant is always by your side and reminds you whenever there are fluctuations on the market, news and any changes on your trading account. You can also command Nami to perform tasks such as placing orders when the price reaches a certain threshold. With the ability to progress different native languages and self-learning technology (AI), Nami Assistant will become more intelligent by times and turn into an efficient assistant who can meet every financial need of Contributors. “Nami Assistant will be a big step forward in financial investment field and it will drive efficiency to be stronger day by day while investment risks will be controlled to the minimum” – said Giap Van Dai – Founder of Nami Assistant and CEO of Nami Corp.
By running on Facebook Messenger platform, users can access Nami Assistant app with just some simple steps. Type @namipfm into the Facebook Search box, visit Nami Assistant fanpage and start the conversation by sending out messages.